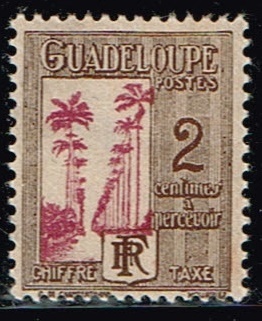 Show your Guadeloupe stamps here. 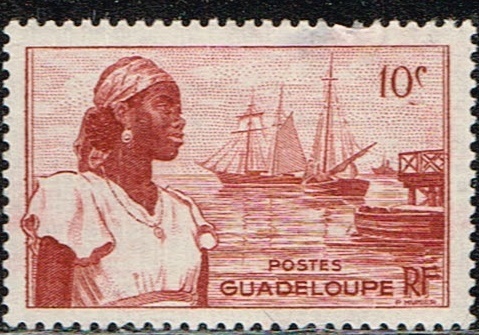 Guadeloupe 1905. 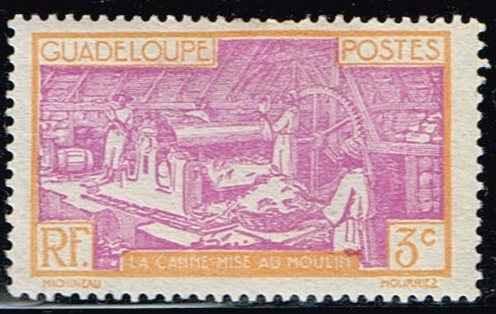 In the background is Mount Houëlmont, on which there is a monitoring station for volcanic and seismic activity. 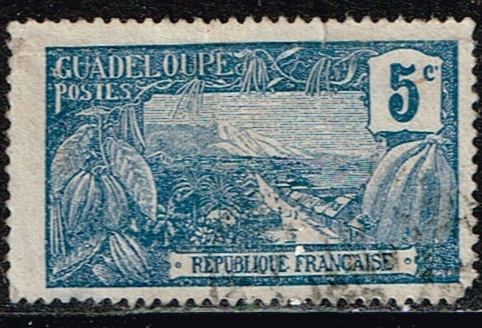 The background of this stamp shows the volcano La Grande Soufrière, which has had some major eruptions in the last coupe of centuries. 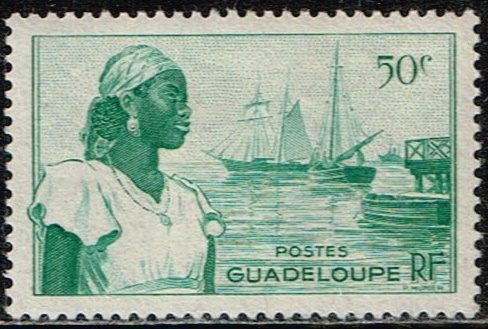 One of my collateral ancestors witnessed one in the early 19th century, and wrote home with a long description. 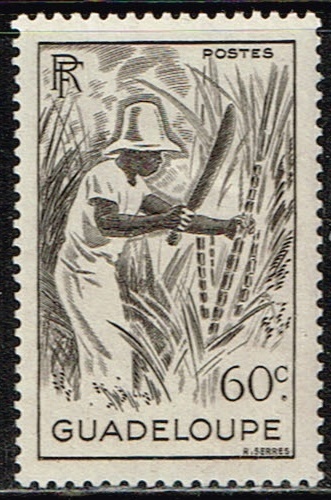 My aunt inherited the letter, and after her death we donated it to the British Library Manuscript Collection. 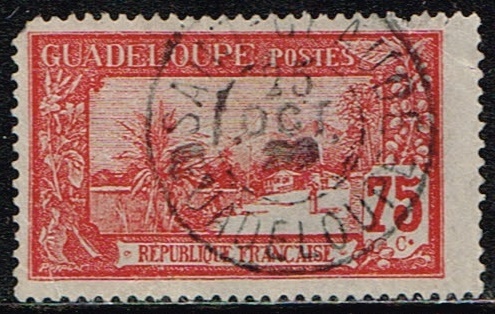 2 more 1905 stamps showing La Grande Soufrière. 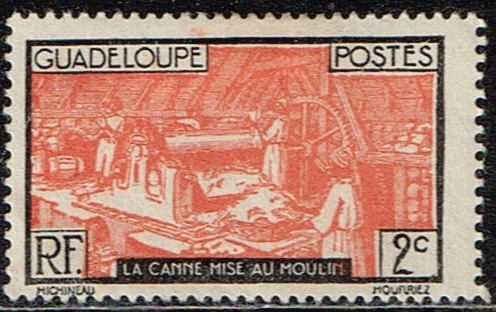 This 1905 stamp has an on the nose cancellation from Port Louis in the north of the island. 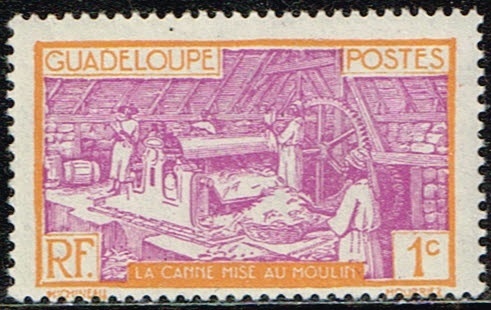 In the 19th century there was a large sugar cane factory at Port Louis, which finally closed in 1990. 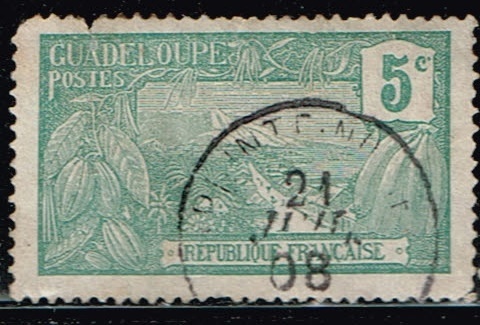 Another 2 1905 stamps showing La Grande Soufrière in the background. 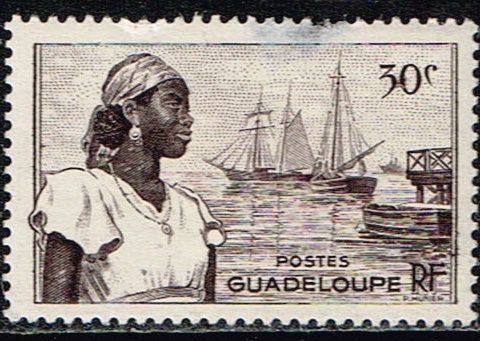 Two more 1905 Guadeloupe stamps, showing the harbour of Pointe-à-Pitre, the main city of Guadeloupe. 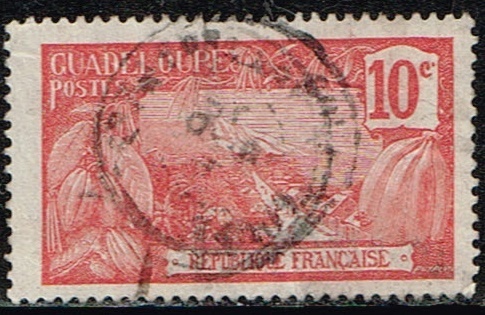 Three surcharged stamps of 1912.